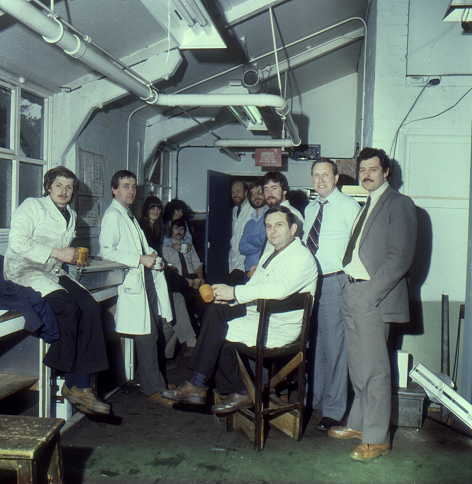 Acknowledgement: The following photographs have been provided by Marcel Glover, Senior Development Engineer, MAN B&W Diesel Ltd, Paxman, who worked at Britannia up to the time of its closure in 1982. 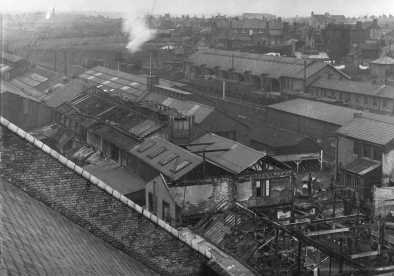 He and the Development department were then relocated to Standard Works. 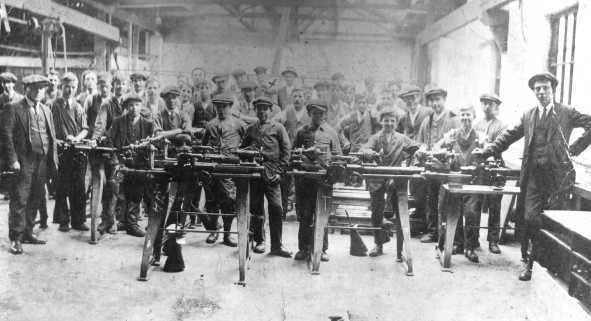 Apprentices at Britannia, probably at the time lathes were manufactured there. It would appear a cloth cap was almost obligatory! St Botolph's Church can be seen in background. St Botolph's roundabout in the early stages of construction in the early 1970s. 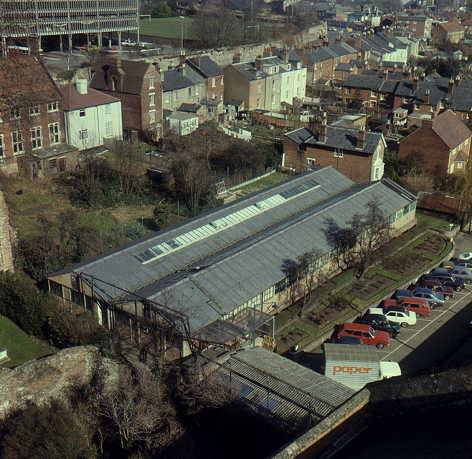 St Botolph's station (on left) still handled a substantial amount of goods traffic. 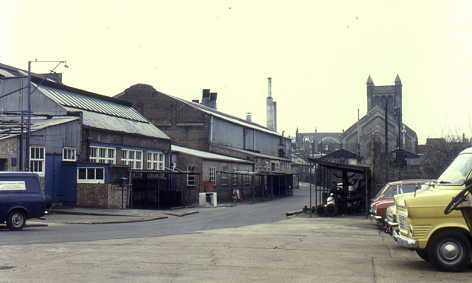 The branch line into Britannia Works is also visible. delivering to the print department which occupied the north bay. Behind the offices, running from left to right, is Priory Street. 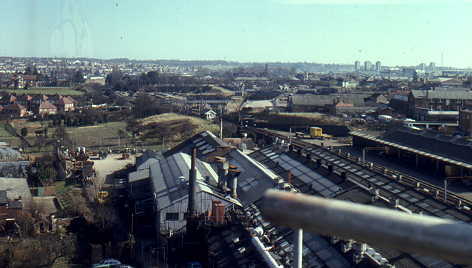 The multi-storey car park, top left, was demolished some years ago. In the distance are the accommodation towers of the University Of Essex (top right). 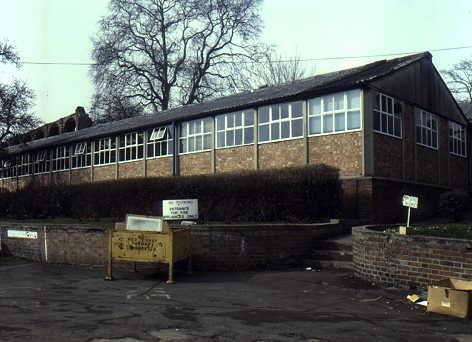 The following photographs were taken during the last month before the Works closed in 1982. 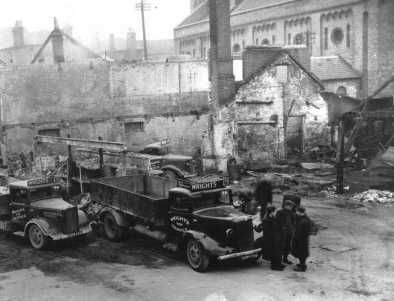 Back of the Works, looking west towards St Botolph's Church. 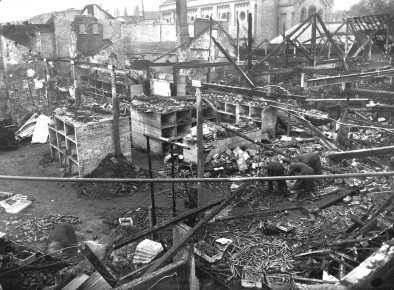 The Rig bay is on the left and the Pipe Shop near the centre. Andy Fowles, Stress Lab Technician; Dennis Coltman, Development Engineer. Alastair Taylor; Bernie Cropton; Dave Cardy. Left rear: Anita, Typist; Judy Leach, Illustrator; Clive Sims. 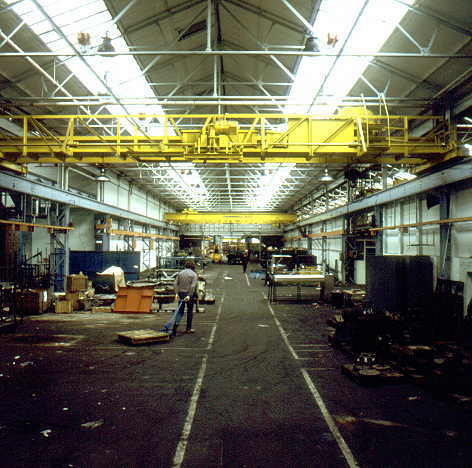 The centre bay of the Works after most of the tools and machinery had been removed. The cylinder head section and machine shop had occupied this bay. 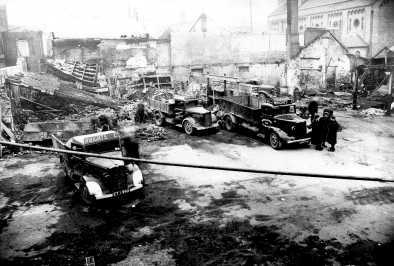 it may have been put up when the fire-damaged workshops were re-constructed. 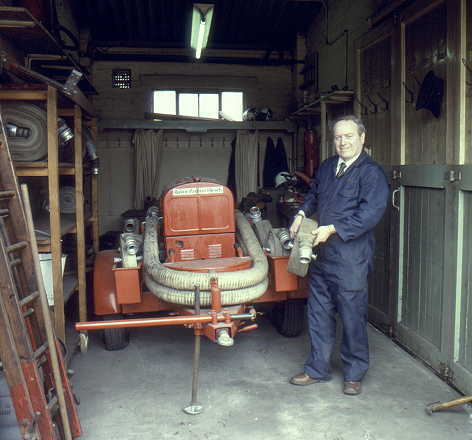 and well maintained fire-fighting equipment. 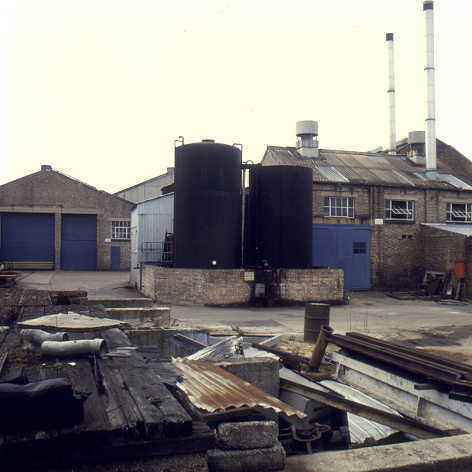 View from the east end of the Works, showing boiler house (right) and fuel tanks. 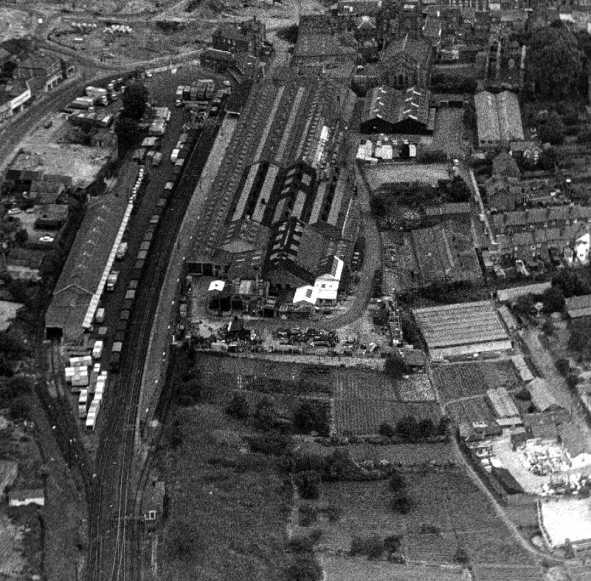 The large door on the far left is where the railway siding entered the Works. The top end of the railway bay, which was the most southerly extent of the main shop. which went under the platform and were reputed to have been stables in the long distant past. 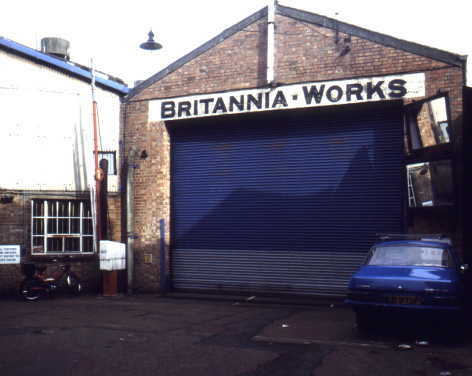 The shutters finally come down on Britannia Works !